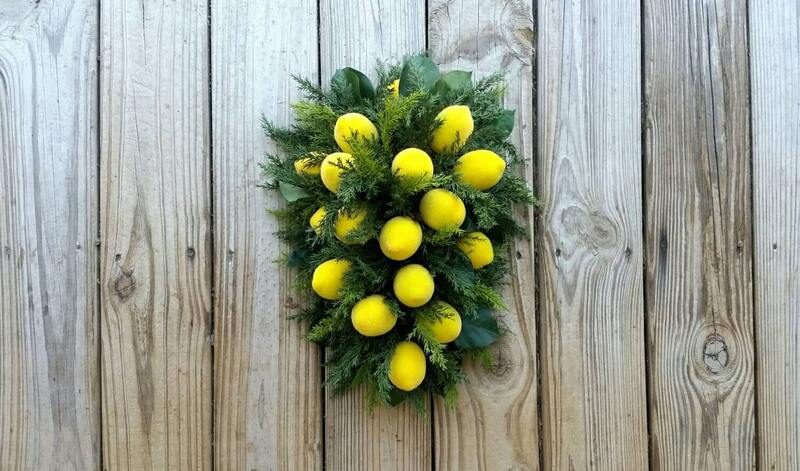 Sugared lemons make a bold decor statement. 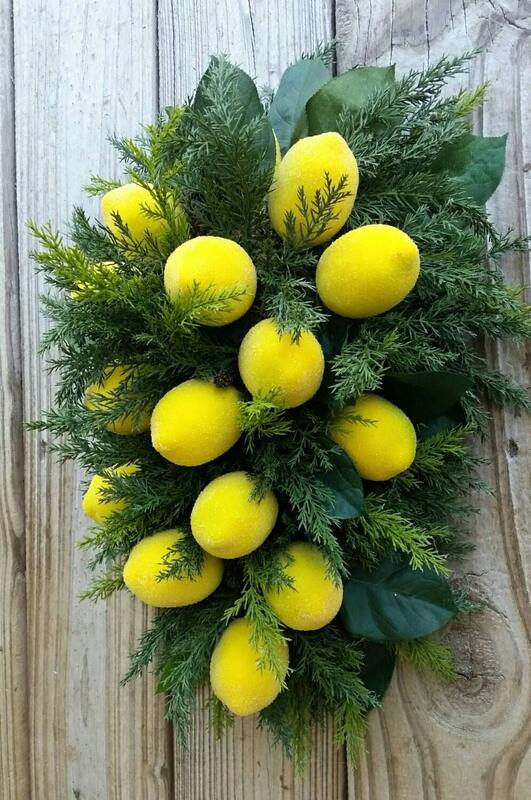 Why not add a bit of color to your home for the Holiday Season with with this beautiful sugared lemon spray! 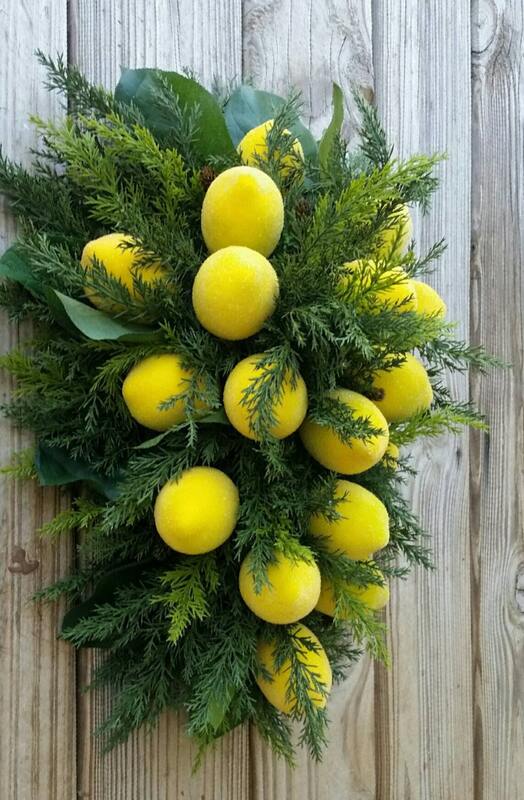 Dozens of artifical faux sugared lemons are nestled amid lemon leaves and artificial cedar. When combined they make up this beautifully elegant spray. Realistic, artificial cedar adds a festive Holiday touch. Vibrant and fun, it will bring a bit of color into your home during those chilly, Christmas nights. 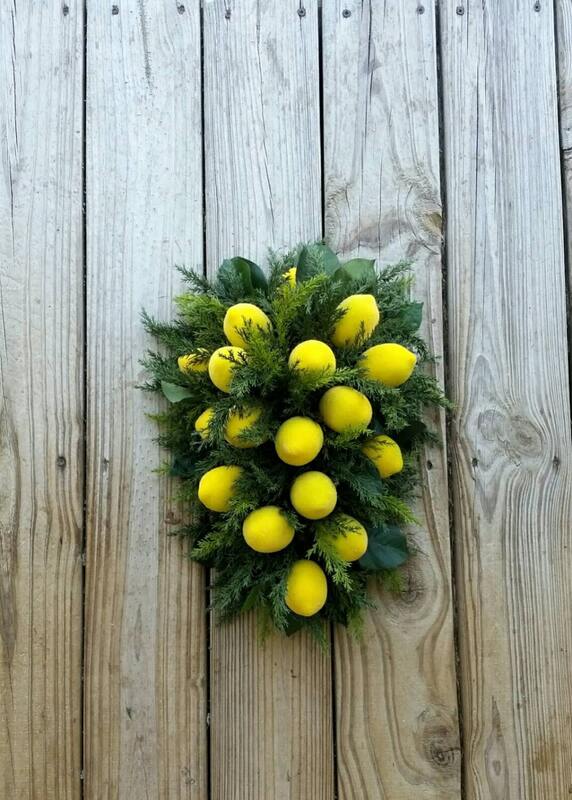 If you have a mirror in your entry way pair two of these beautiful sprays with our matching sugared lemon wreath. 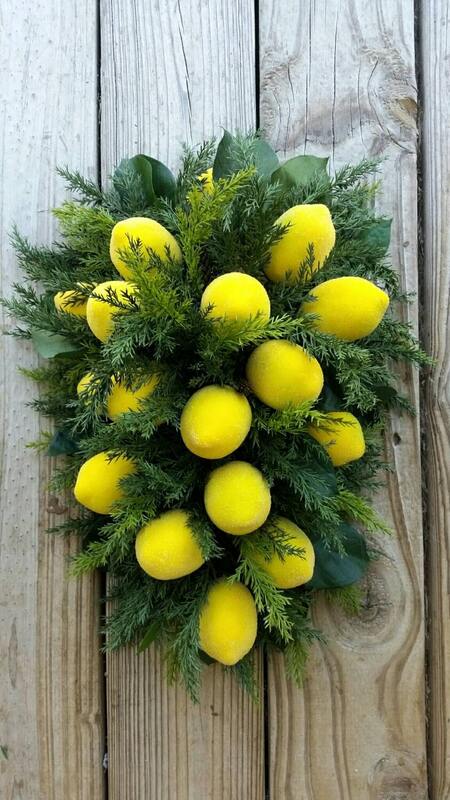 Hang a spray on each side of the mirror and display the wreath on the mirror for a stunning Holiday masterpiece.